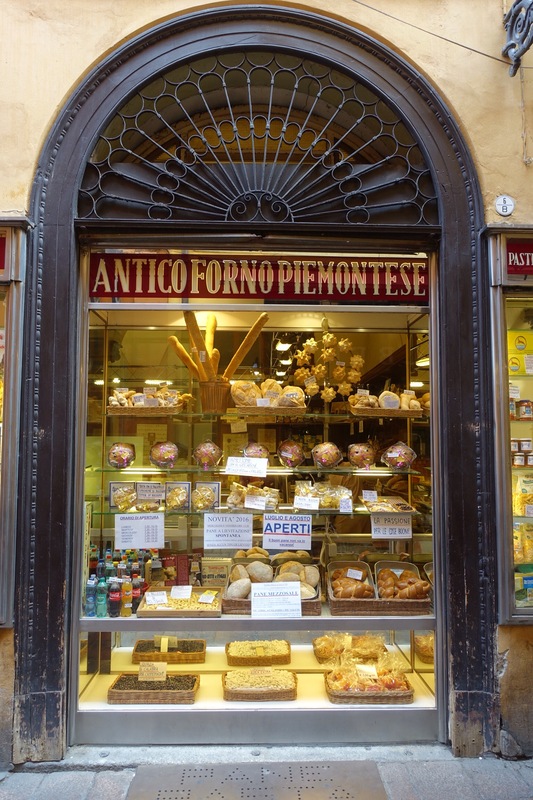 Most Italian towns boast a wonderful patrimony of historic shop signs and Bologna is no exception. 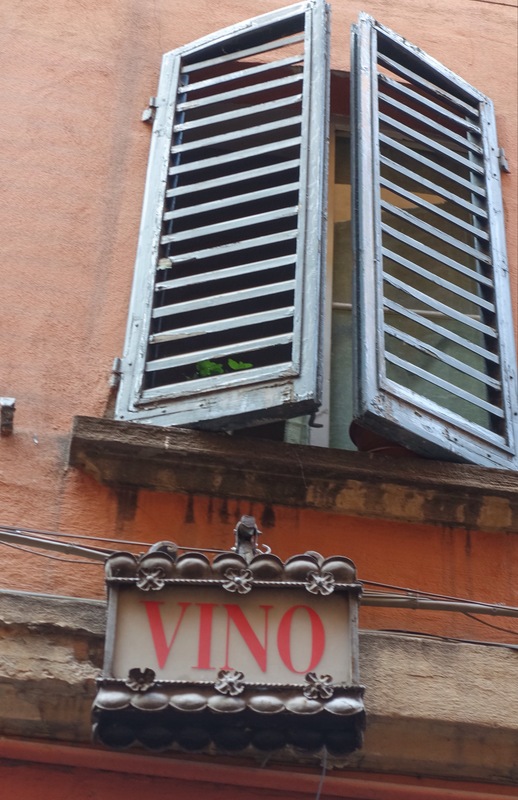 Many of these are well preserved as they have glass covers. 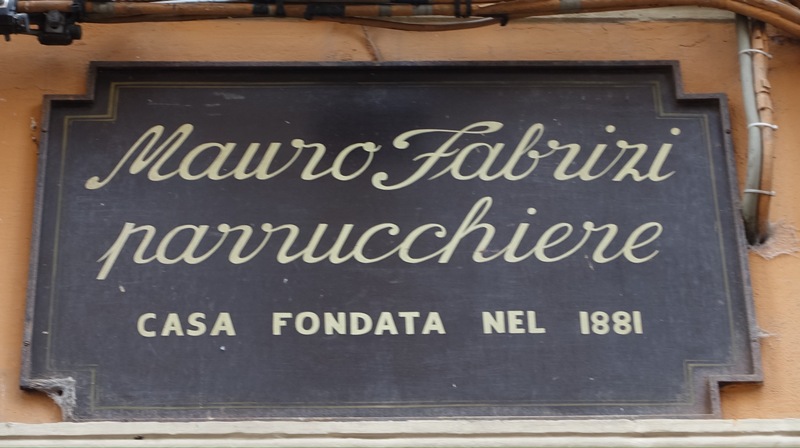 In many cases, the nature of the shop may have changed several times, but the original sign is preserved. 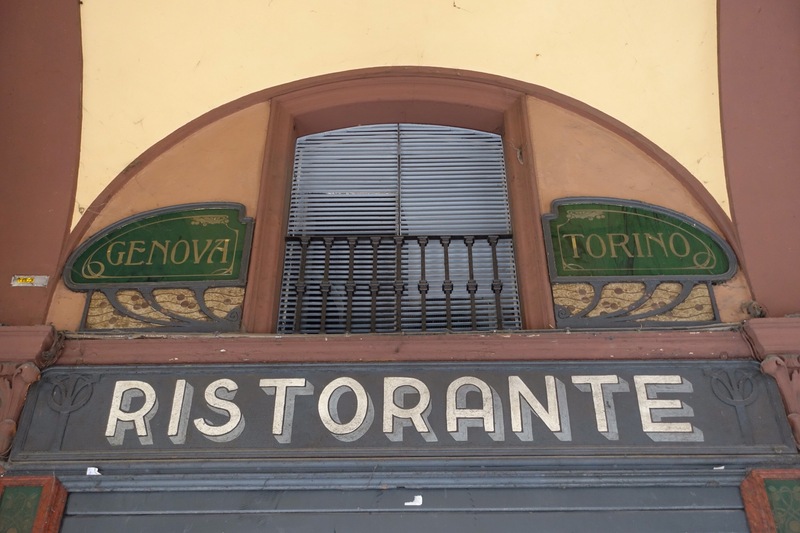 This Art Nouveau sign refers to an earlier establishment now occupied by the Ristorante Diana. 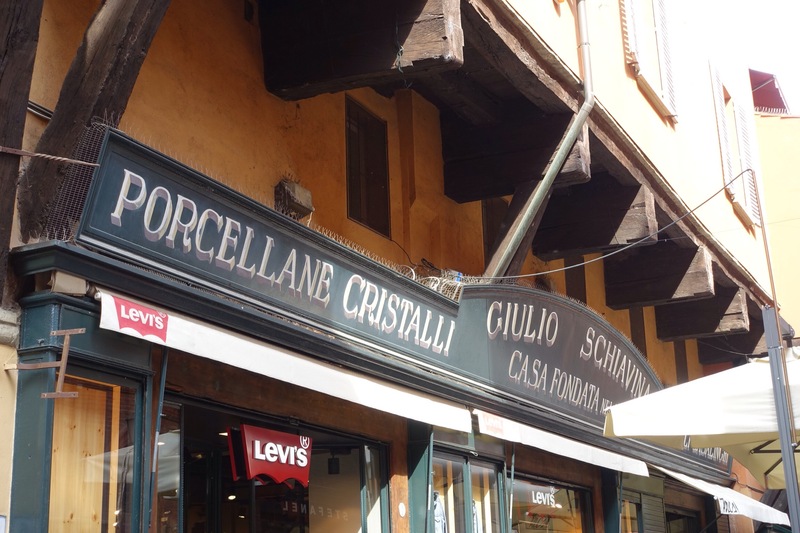 This is one of the oldest ships in Bologna and in the 1700s offered a knife and blade sharpening service with horse drawn sharpening stones. 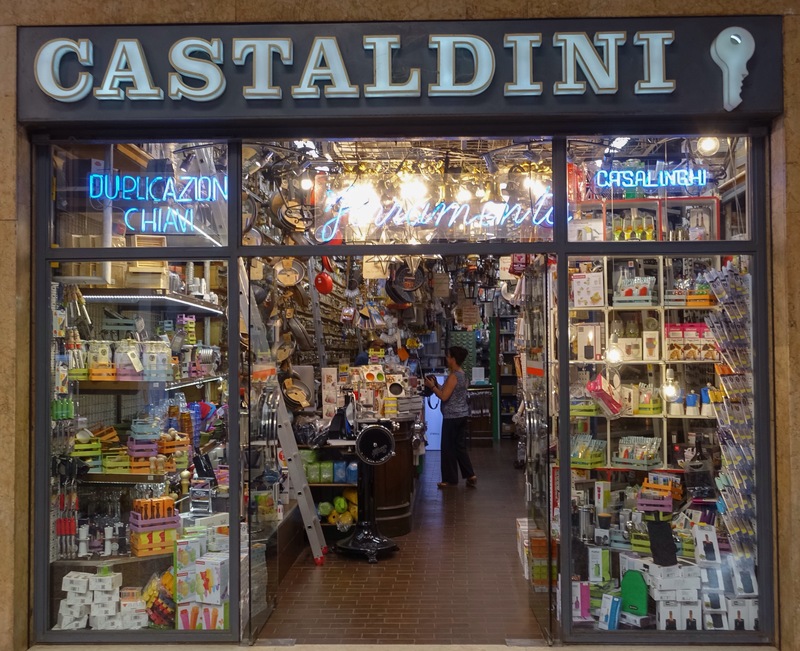 It’s now a homeware and kitchen shop still specialising in knives. 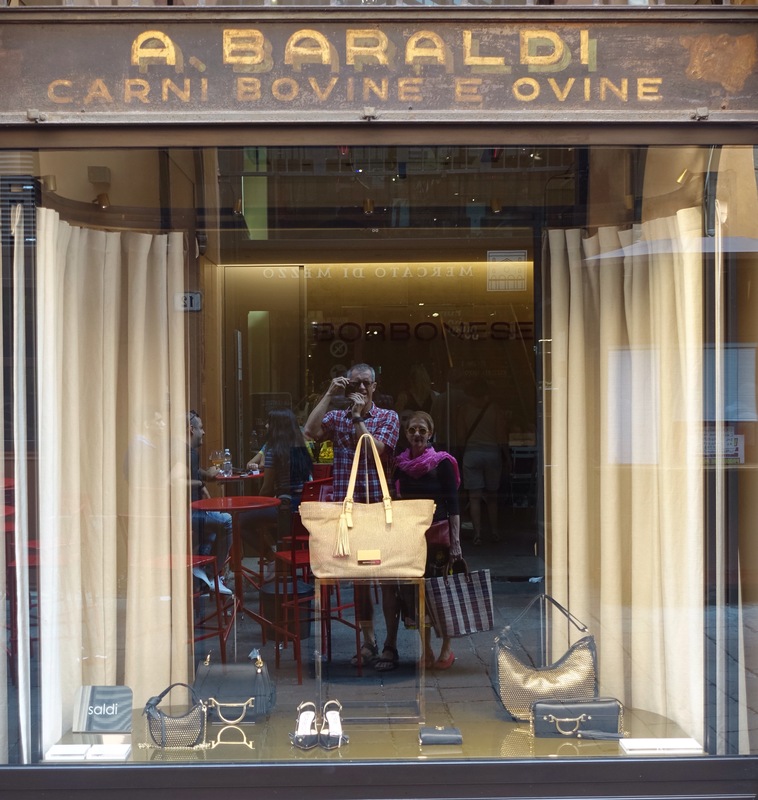 Below, an ex butcher shop. 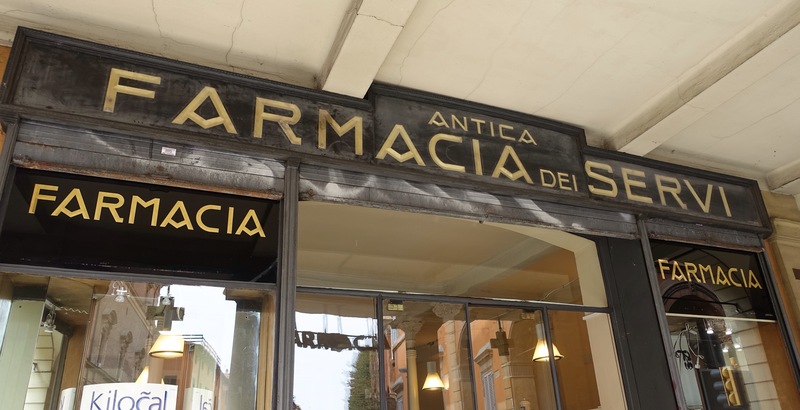 The following signs are for an ‘Albergo Diurnale’ or day hotel and offer baths, showers, use of a writing desk and shoe shining . 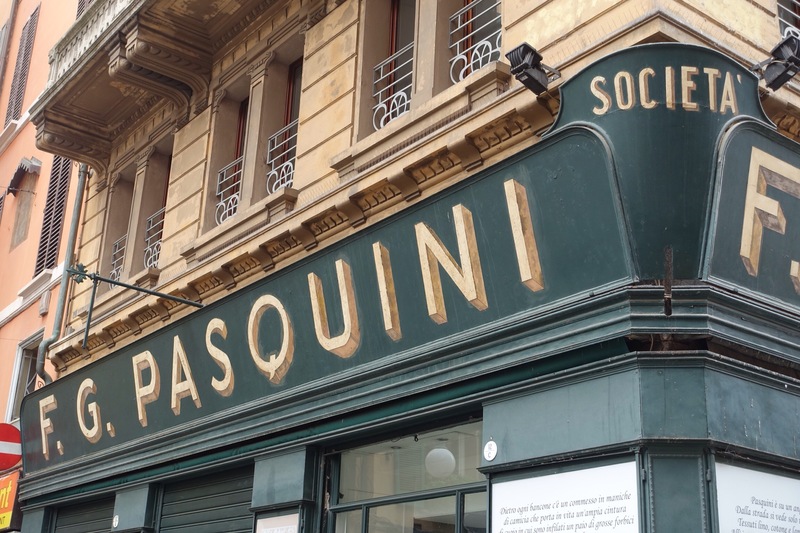 This establishment was founded in 1911 by Cleopatro Cobianchi who went on to establish similar hotels across Italy. 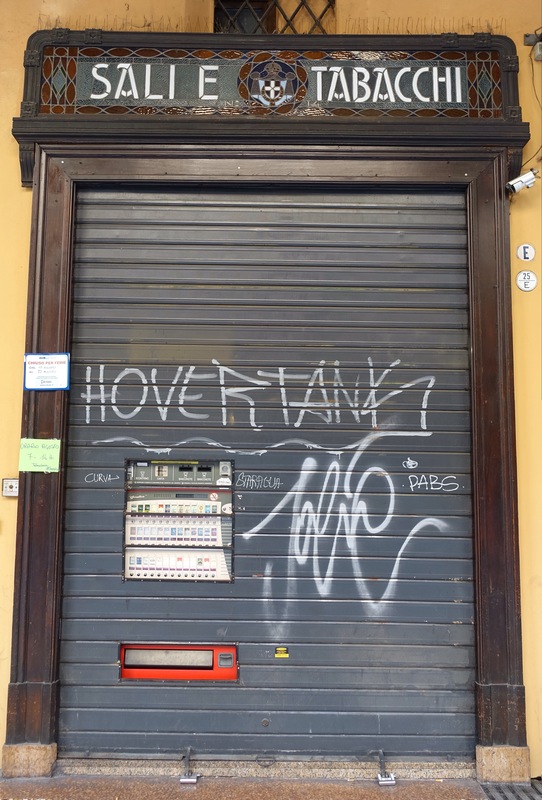 It was obviously a period of low inflation with prices etched into the sign. 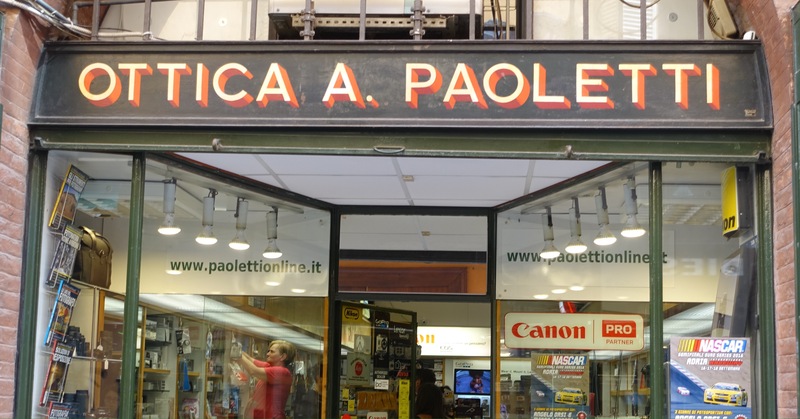 And this one has been selling cameras since 1959. This sign dates back to the days when salt and tobacco were state monopolies and only available from select stores. 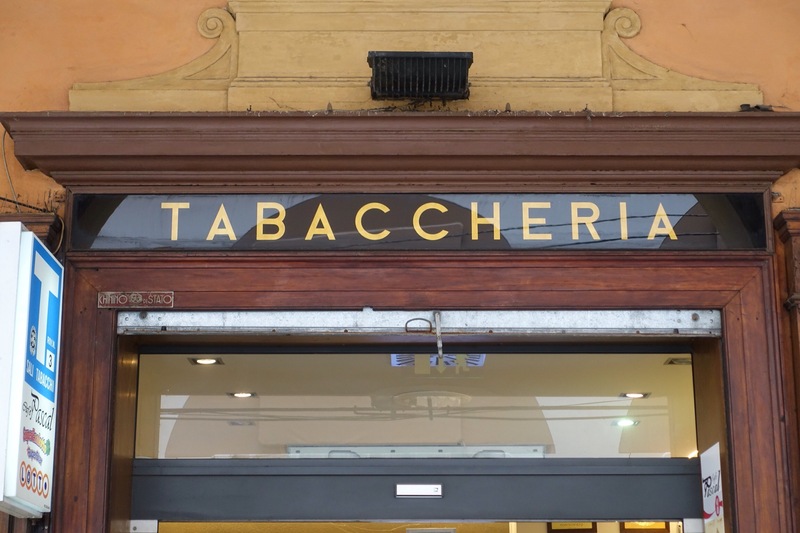 Tobacco and also matches can still only be purchased from a limited number ofregistered outlets.This one is closed for the August holidays but you can still buy cigarettes from the vending machine. 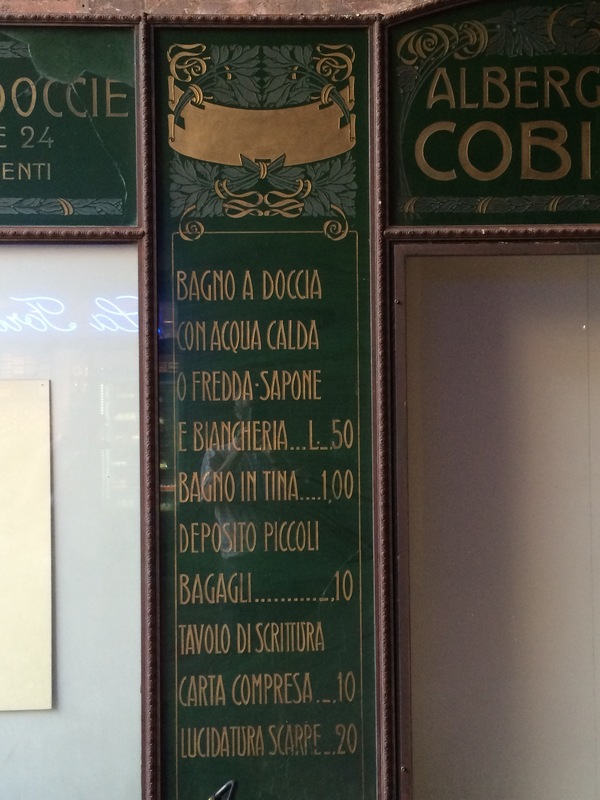 This shop in Via Drapperie was selling fried fish back in 1924 and is still a fish shop. 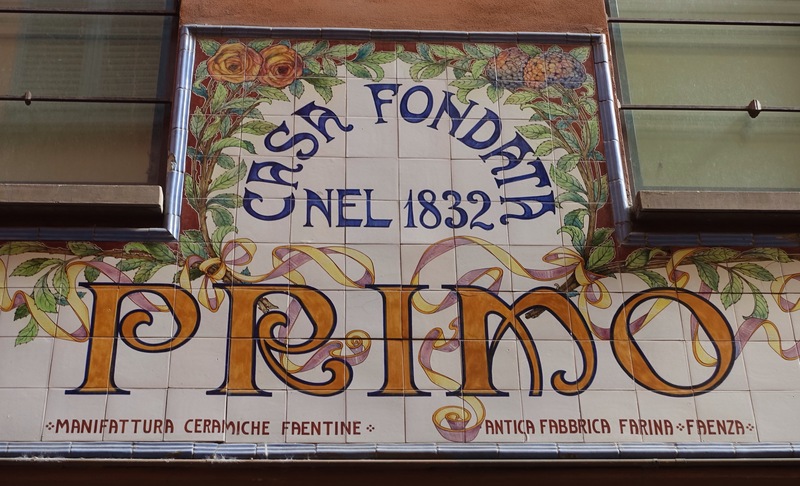 The Osteria del Sole is a ‘bring your own food’ wine shop which has been operating since the 1940s although there has been a tavern on this site since 1465. 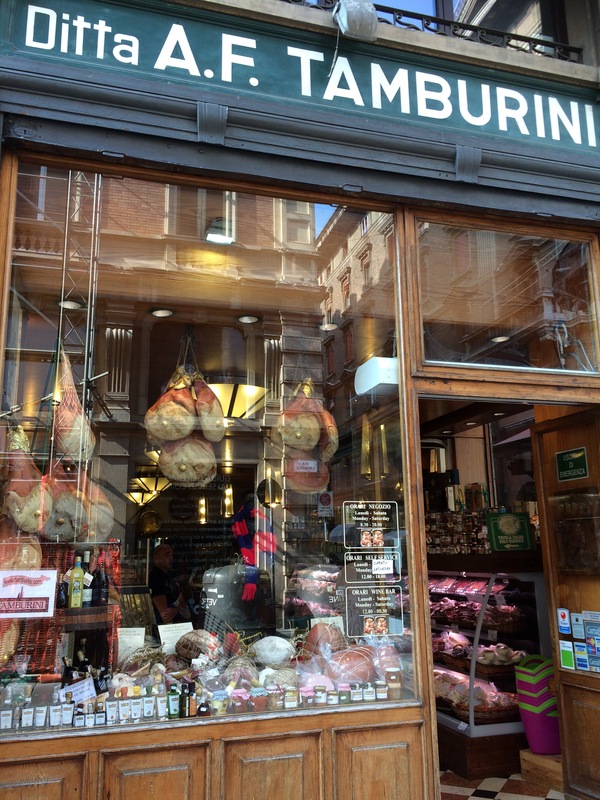 ﻿ The current owners , the Tamburini family, took over this food shop in 1932 though the establishment dates back to 1860. 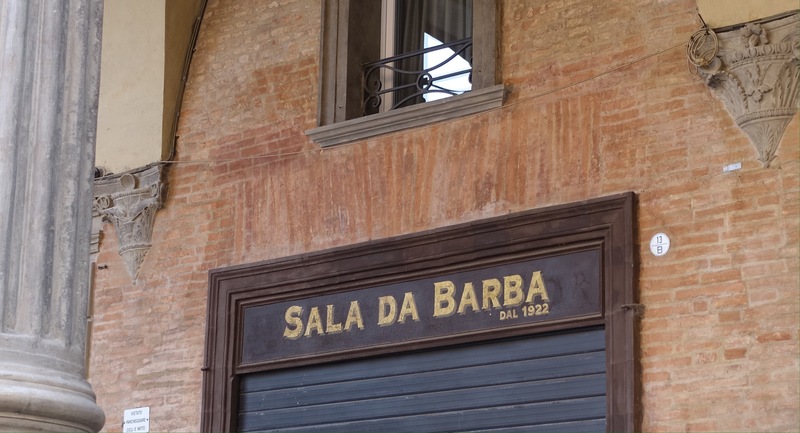 Here’s a selection of other Bologna shop signs covering a wide range of activities such as hats, gold, hardware, shoes, bread, books barbers and hairdressers. If you can’t find that odd piece of hardware here, you won’t find it anywhere. We found the exact handle to replace the broken one on our window a few years back. 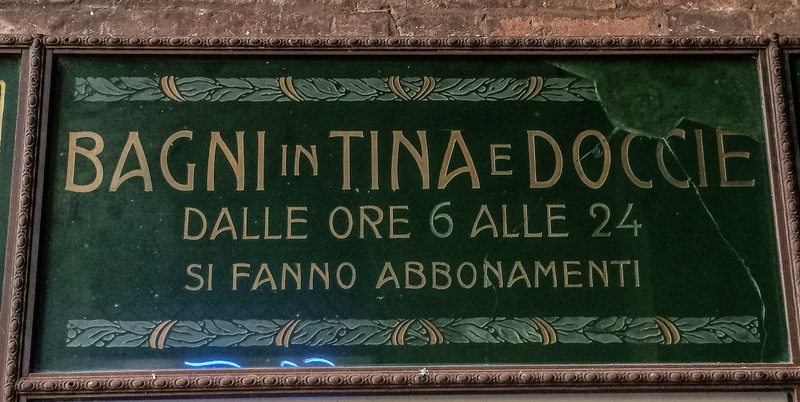 Such a beautiful reference for sign painting!